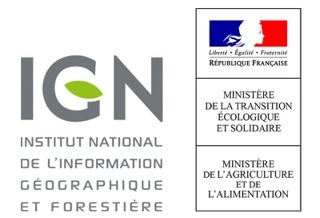 This project funded by ADEME associates ONF (R&D Nancy), NGI (DIRNE) and IDF, and started early 2017.
to test the concept of regional information systems, flexible and updated, as decision support systems for regional optimization of resource management at the regional level. the forest map (BD Forêt V2). Nowadays, auxiliary data sources are more and more available and diversified. Technical progresses realized in the field of very high resolution remote sensing make it possible to develop these methods in France.